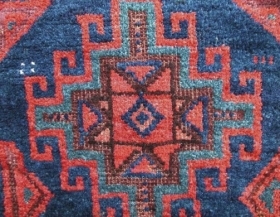 active since December, 4, 2007. 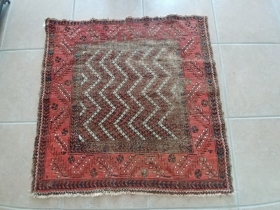 Antique Bidjar, a real gem of a piece. 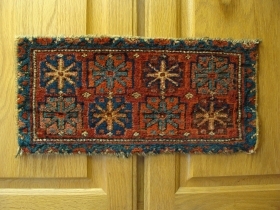 Wool wefts. 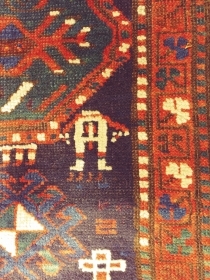 a mighty fine Afshar Bagface. 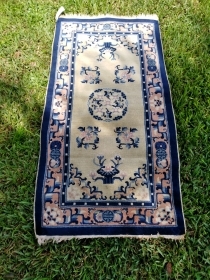 Great quality, color, design, and weave. 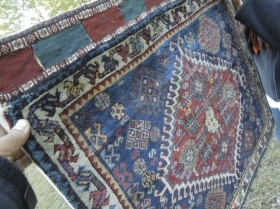 20 by 29 inches. 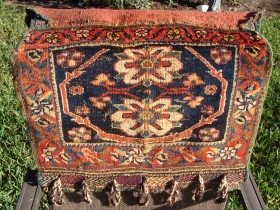 Afshar Bagface with rosettes. 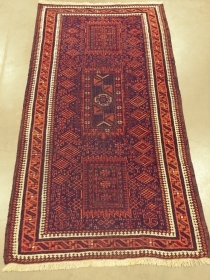 Beautiful rich colors! 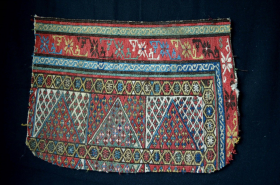 It has its original back flap. 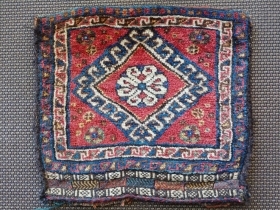 The face measures 16 by 21 inches. 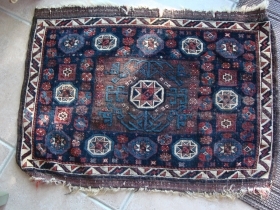 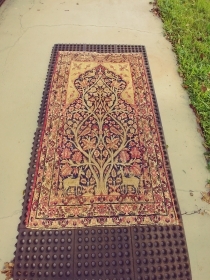 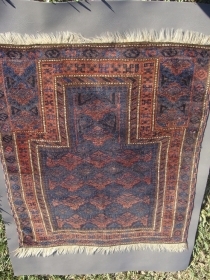 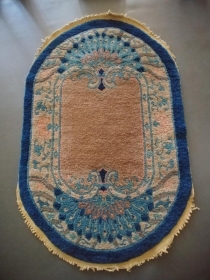 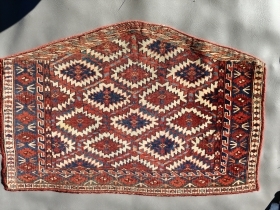 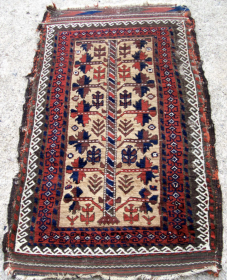 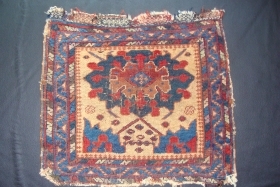 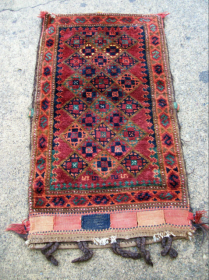 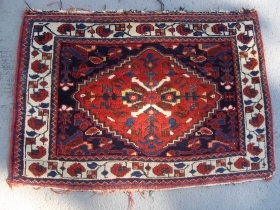 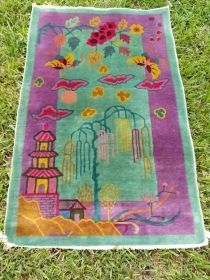 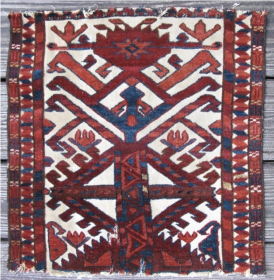 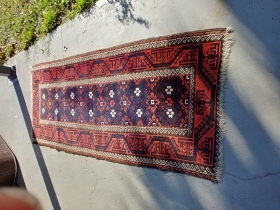 Chodor prayer rug. 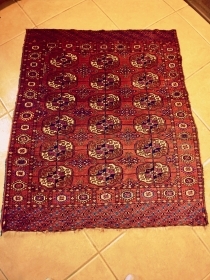 40 inches by 65 inches. 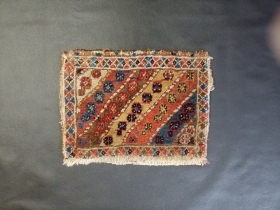 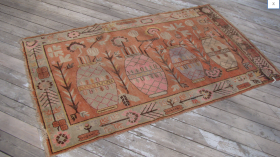 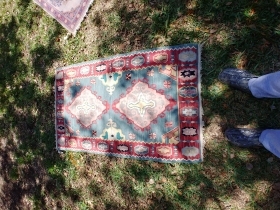 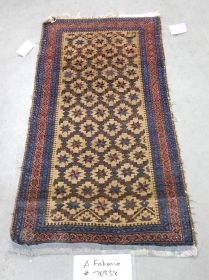 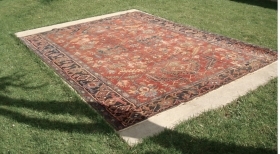 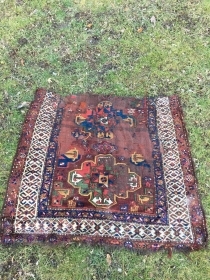 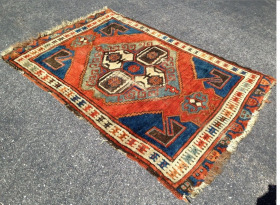 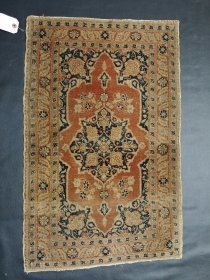 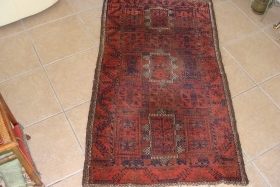 Antique miniature Indian rug with Mughal design. 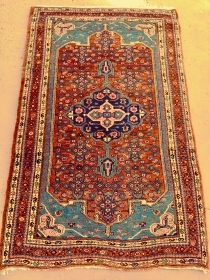 Agra? 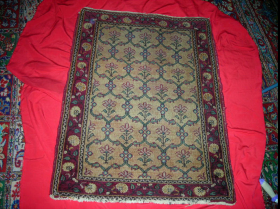 26inches by 36inches. 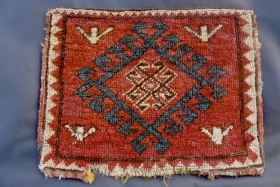 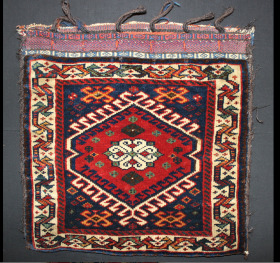 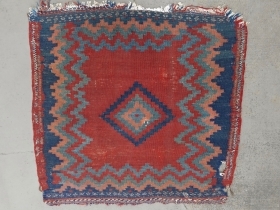 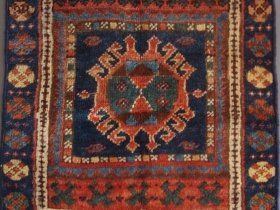 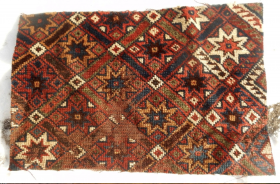 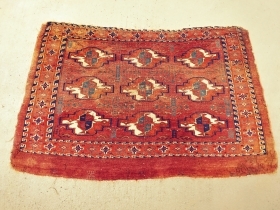 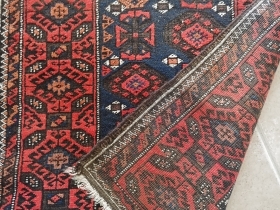 19th century Karapinar rug from Central Anatolian. 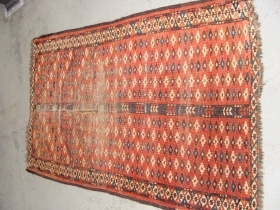 About 48inches x 69inches. 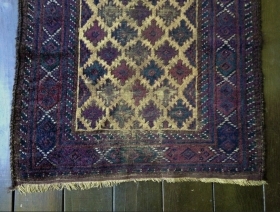 Could use a good cleaning. 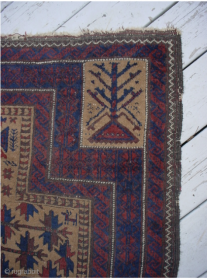 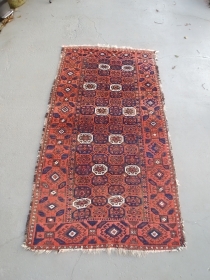 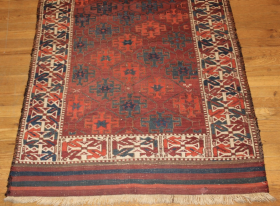 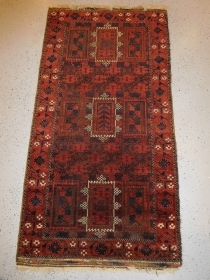 almost Square 3ft x 3ft Baluch Prayer rug. 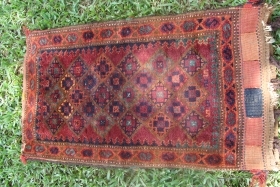 Measures close to 35inches by 40.6inches without fringe or 88.9cm by 101.6cm.